Fishing remains slow and everyone has theories to where the fish are or even if we are going to get a decent return of fish this year. Is it because of the flood in 2010? Low water and lack of eggs at the hatchery in 2011?? The cold winter and colder then normal lake temperatures this year?? Or 60% of last years fish at the hatchery last year were two year olds (this years fish) Or all the above. Only time will tell. As I type this there has been some fish showing up at the mouth staged in front. On the plus side there are some Steelhead in the river, if you try to target them you could be rewarded like Blake here in the picture above. Started my river trips for the season on Sunday and it was pretty slow. We saw more fish going back to the lake at daylight then we saw swimming upstream the rest of the day, which is pretty common this time of the year. 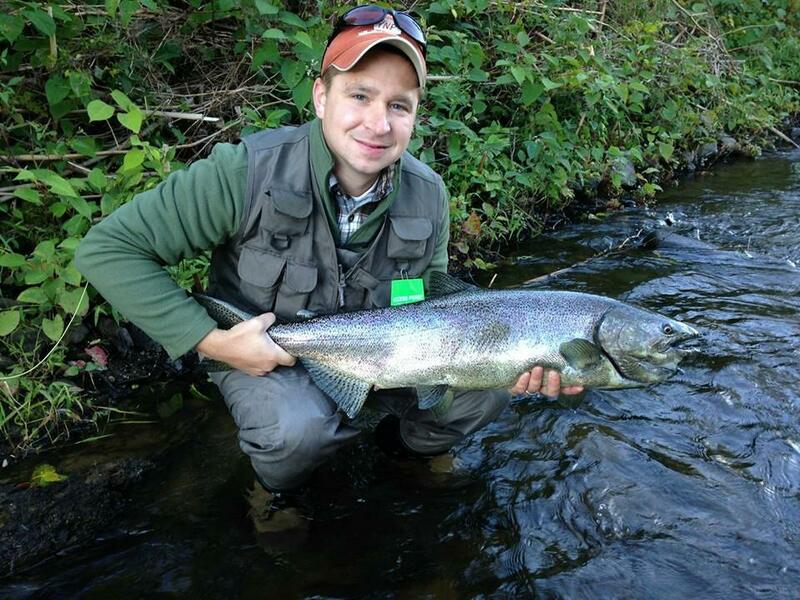 If your looking to book Steelhead dates in November I have very few left, don’t wait.